Belmont University student Jamey Wood recently presented research that originated from a project in his digital writing class at the 2017 Southwest Popular/American Culture Association Conference. 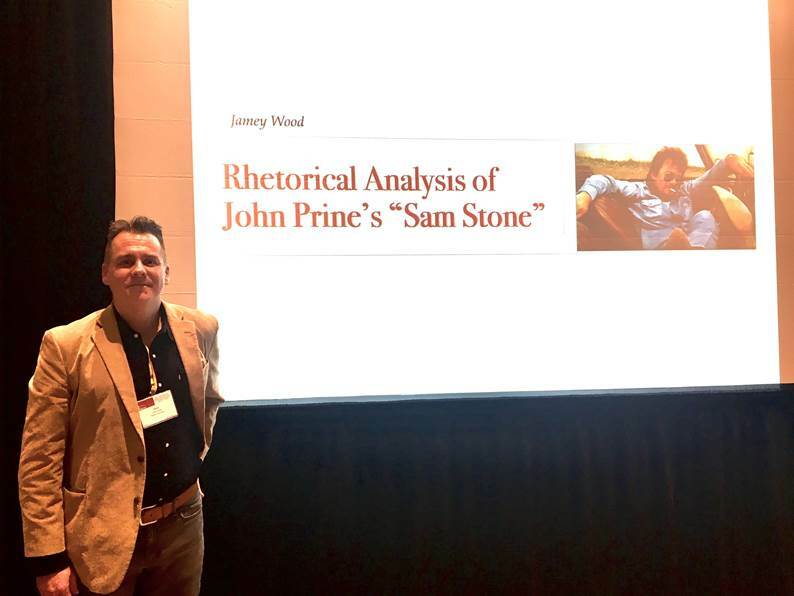 Wood’s presentation was titled, “A Dramatist Examination of John Prine’s ‘Sam Stone’” and was given as part of a panel discussion on rhetoric and technical communication, where he was able to receive feedback and considerations for furthering his work. The conference took place February 15-18 in Albuquerque, New Mexico. Wood’s project has also been accepted to a conference that is scheduled to take place this June at Virginia Commonwealth University in Richmond, Virginia.